The Building Survey (also known as a Structural Survey) is an in-depth survey and offers a comprehensive inspection of a property. It is most suited to older buildings, those of unusual construction or if the property has been altered or extended. The Building Survey is a good choice if you know there are significant defects or if the property is in need of refurbishment. A Building Survey covers all accessible parts of the property including a comprehensive visual inspection of the external and internal elements of the building fabric and structure. From this we are able to determine the construction and condition of the elements of the property and our report will describe the construction and condition of the building fabric, the extent and type of repair required, the extent of further investigation required and potential future maintenance concerns. Not sure which survey suits your needs? - visit our survey comparison page. 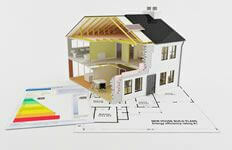 For more information on building surveys in Preston call us on 01772 970170 or contact us online to book a survey.